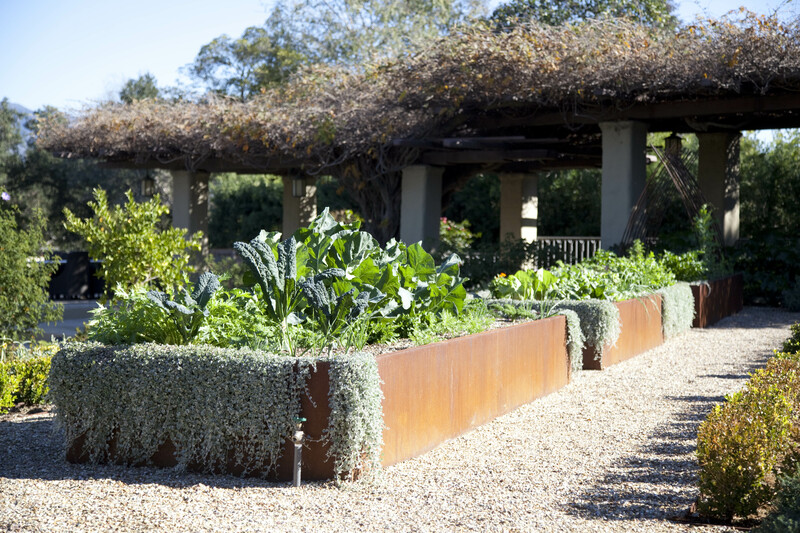 Located at a historic Greene & Greene home, this garden showcases how beautiful corten steel planters can be in a vegetable garden. Silver Falls dichondra cascades over the planter edges; a similar, if less dramatic, effect is achieved with nasturtium and vining crops in other garden sites. Finally, an arched rebar trellis – visible in the most distant planter – provides support to climbing crops in the garden such as peas, beans and cucumbers.